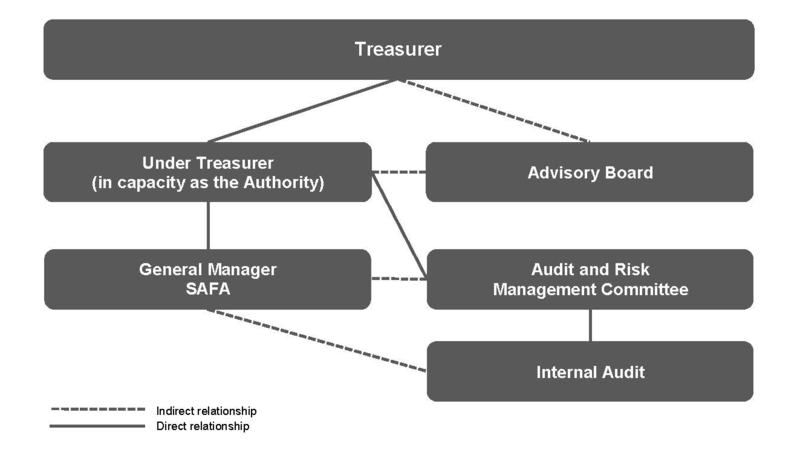 If, in the opinion of the Advisory Board, it should provide advice to the Treasurer or the Under Treasurer on any matter relating to the exercise of the Authority of its powers, functions or duties under this Act even though a request has not been made by the Treasurer or the Under Treasurer. SAFA’s Act specifies that the Advisory Board must consist of not less than five and not more than seven members, one of which must be employed by a South Australian semi-government authority and one of which must have insurance expertise. The Risk and Performance Committee provides independent advice to the Under Treasurer on SAFA’s financial and performance reporting responsibilities, risk management, and internal control systems. The committee consists of three members.